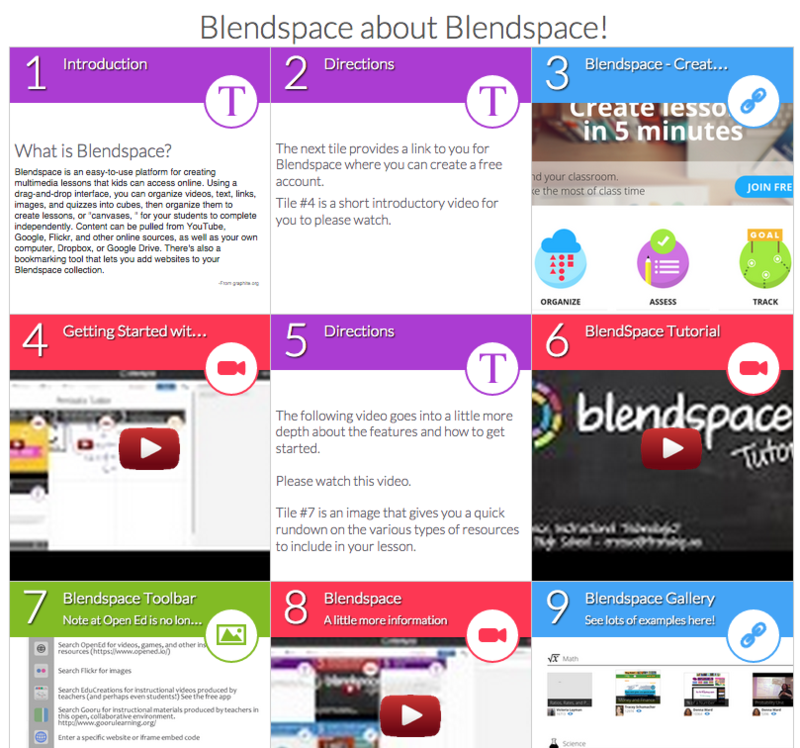 Blendspace is a tool for collecting and presenting resources on a specific lesson/topic in an organized fashion. You can use it to prescribe students resources to work through independently in a sequential way or you can simply use it to collect a variety of resources on a topic that you want to make available to your students to accompany a lesson/topic. Once there, please move through the lesson then finish up by looking through the Gallery (provided in tile #9) to find lots of examples. Note that I used text slides to provide introductory information as well as a few directions along the way. It includes a couple videos as well as a graphic. It’s a very flexible tool and one that is popular among RCPS teachers. Here's also a handout created by Blendspace, if interested.